Well, this past Sunday I attended the final graduation party of the summer for one of my seniors who departs for college this week. One of the great joys of doing the kind of teaching I do is witnessing the growth of many of my kids over several years. The particular student for whom I made this card is a tenor saxophonist who really found his voice as a writer and musician this year. I couldn’t be more proud. So I dug into some vintage stash to put together this layered piece. I bought this magazine in 1997 at the Bop Shop in Rochester, NY. I’ve been carting it around all this time, looking at its amazing ads and images every now and then. 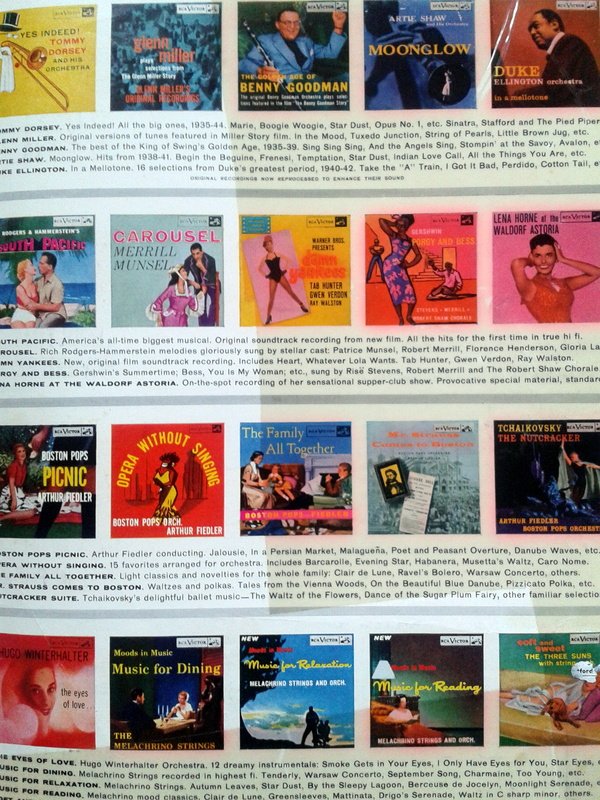 It features gorgeous full page pictures of Louis Armstrong, Duke Ellington, and Charlie Parker’s grave. 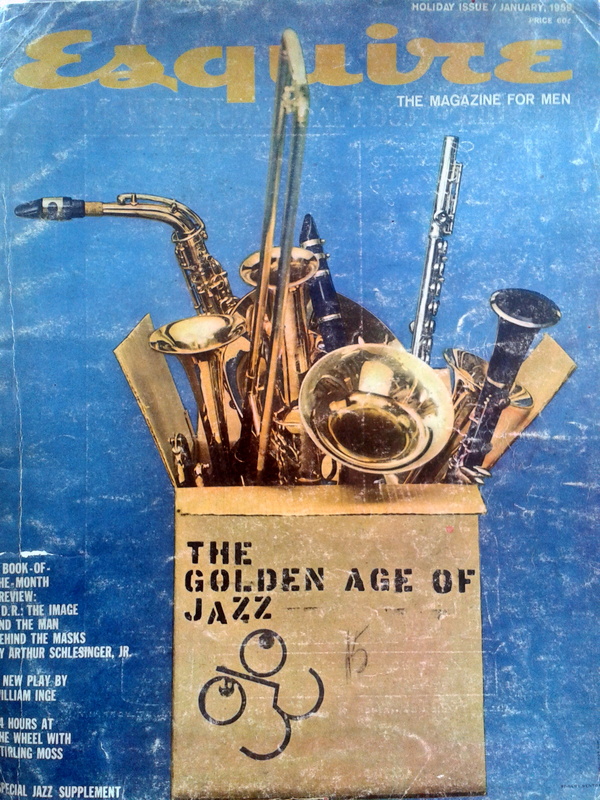 It is full of articles about musicians’ musings on the current state of jazz, in 1959, and the future of the art form. 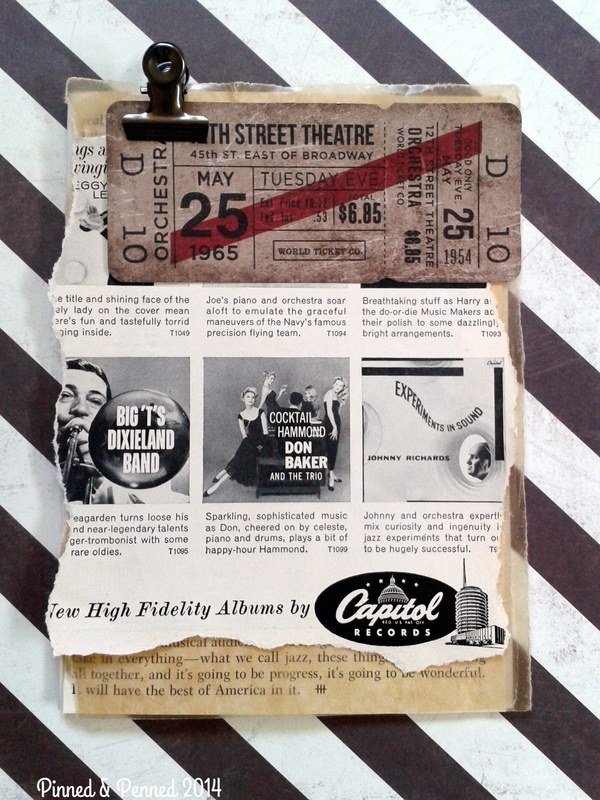 A pretty cool artifact for a jazz lover. The magazine, like most of our belongings after awhile, hadn’t really seen the light of day in a few years, so I figured parts of it might be better put to use as a gift. 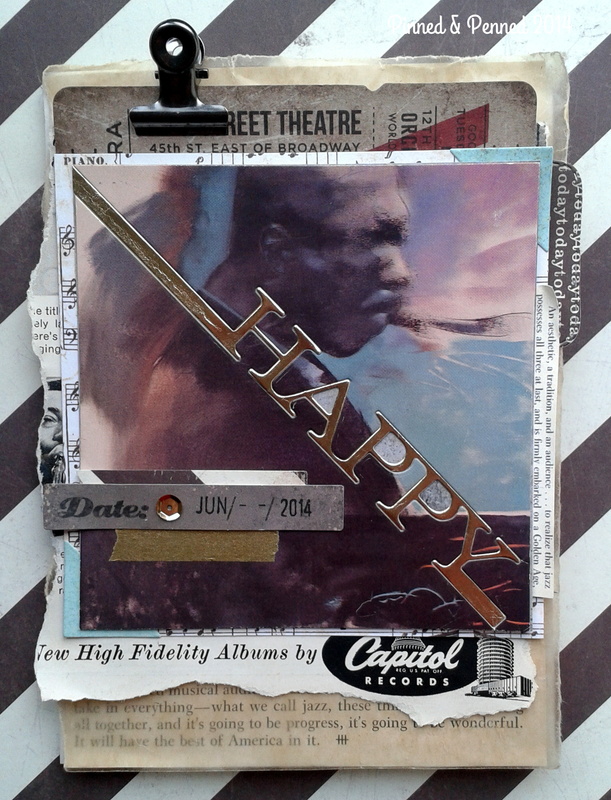 The image of John Coltrane is also repurposed, cut from a card I bought 20 years ago and never sent! I have a few of those lying around. The Happy is from PTI, cut in Chickaniddy Gold foil paper. 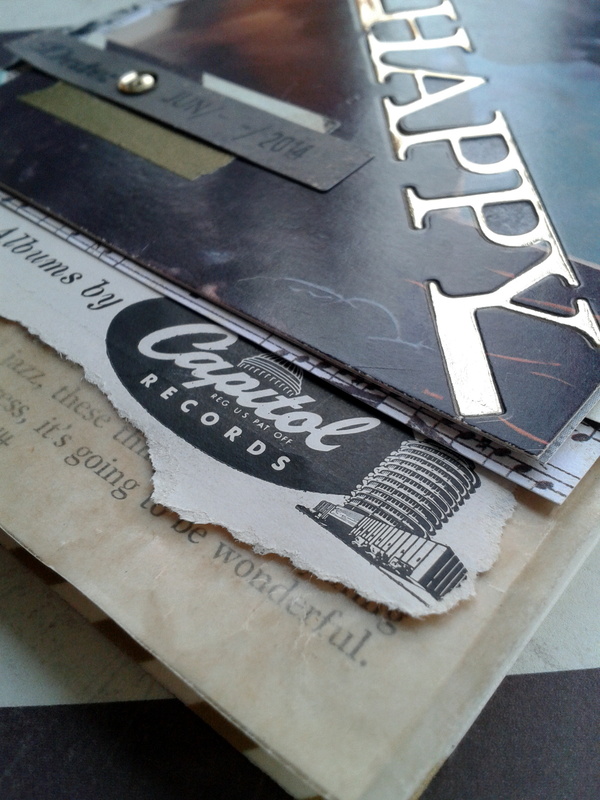 I ripped an ad for Capitol records to layer in the middle of the card. The bottom layer, which is covered by a waxy brown bag that I also repurposed, is part of Duke Ellington’s article on the future of jazz. You can lift all of the layers to read the entire piece. 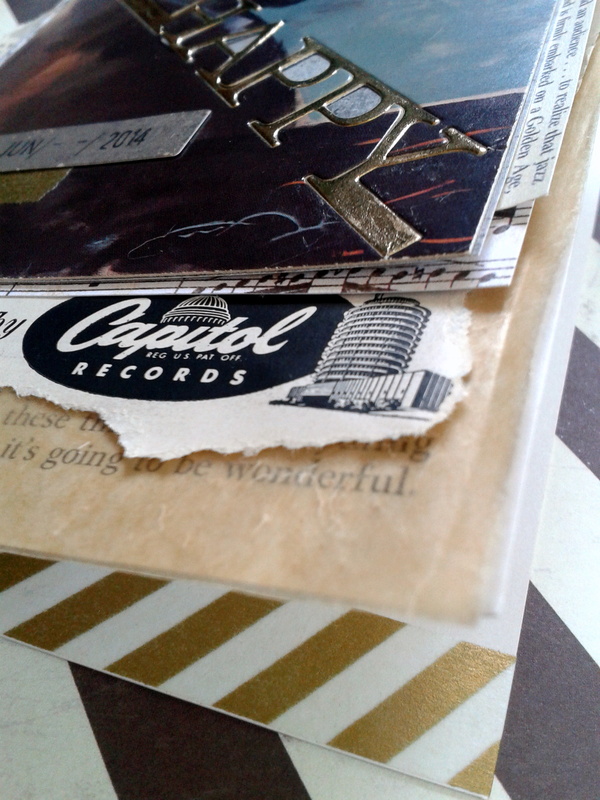 The inside and back are adorned with gold stripe washi. Below is the middle and base layers so you can see the awesome ad. I should have grabbed a photo of the Ellington piece but neglected to! Good thing I made a copy of it before I put the magazine original on the card! It is a really great piece. 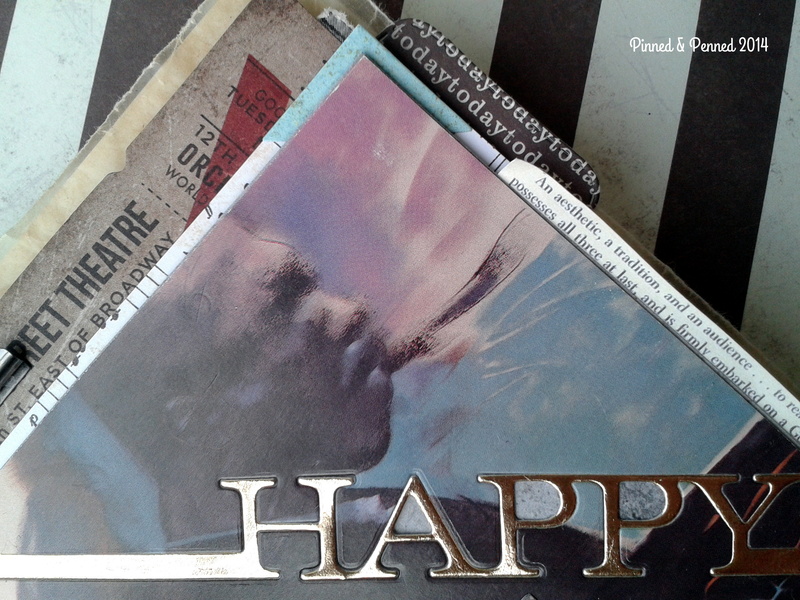 This is headed over to Simon Says Stamp’s Wednesday challenge–“Back to School”. School never ends for me, but I am feeling the push of September pretty hard this week! And I’ve still a few more congrats cards to finish before the summer is out for my graduated 8th graders and one more senior! 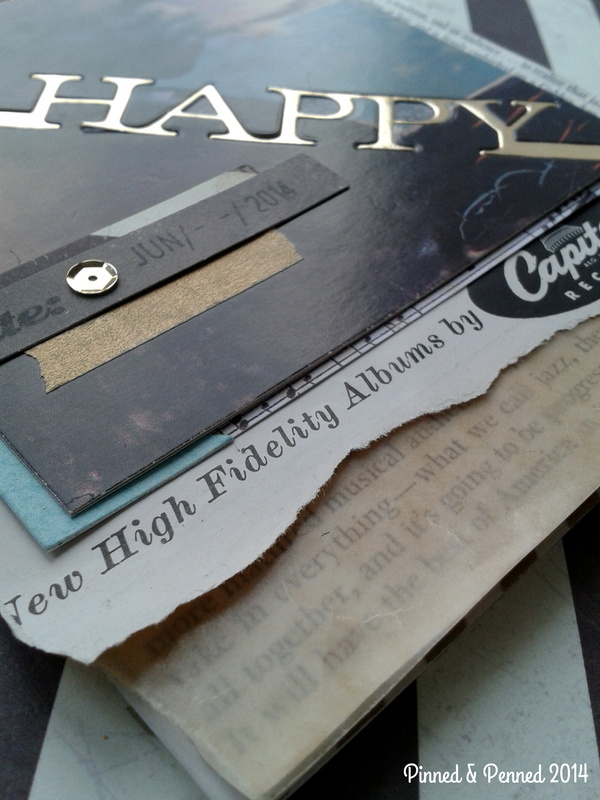 I’ve also a backlog of congrats cards from JUNE to showcase featuring Dewey Decimal by Lawn Fawn and other awesome goodies, so check back soon for those! I will take a bow and leave you with a colorful image from the magazine and Coltrane’s Giant Steps–swoon. Keep swingin’. 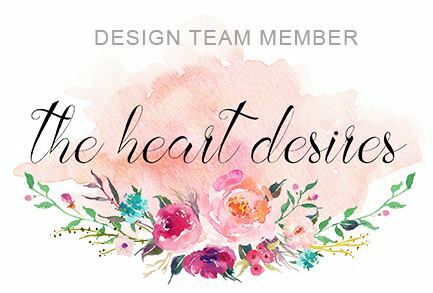 < Inspiring Sketches: Updated Photos and Design Tips! wow…this is such a special project and I’m sure your student was in awe of your fabulous talent. LOVE all the details that you put into your work. This is really fabulous. WOW! I’d like to invite you to stop by Word Art Wednesday for our weekly Anything Goes challenges. We have lots of fun, and we offer at least two great prizes every week. This week, one of our prizes is a $15 for woool felt from Prairie Point Junction. I hope you will stop by when you are able, and play along in our challenges. It would be a blessing to have you play along! wow SUPER COOL AND ARTISTIC!!! !